to flexible kiters such as the Breacher and Tristan. The Combat Frigates are the most numerous of the frigate sub-classes, with each race receiving two ships targeted towards slightly different aspects of that race's combat style. These are the front-line warships of the frigate class, with strong offensive and defensive capabilities giving them plenty of staying power compared to the other T1 frigates. Their brawling ability makes these ships an excellent choice for solo PVP, as well as for small frigate gangs. Their relative resilience makes them strong close range tacklers, however they lack the speed of their nimbler relatives the Attack Frigates which tend to overshadow them in any fast tackle role. With a mid-heavy slot layout of 3/4/3, the Merlin is a flexible ship equally at home as a brawler or as a tackler. A hybrid damage bonus gives its three turrets excellent damage output, typically in the region of 150-200dps with blasters or 100-150dps with railguns. The second bonus goes to shield resistances, making this one of the tougher T1 frigates and a very solid all rounder. The Merlin's four mid slots make it a natural shield tanker. While armour tanked Merlins can actually be very effective, they're relatively rare and a shield tank is a safe bet should you encounter one. Thanks to its resist bonus, the Merlin can mount a very impressive buffer tank; a fairly standard setup featuring a Medium Shield Extender along with the usual supporting modules (i.e. a Damage Control and some basic shield rigs) puts the Merlin at a fairly impressive 7k EHP, while supplementing that with an Adaptive Invulnerability Field or a second extender can put that up above 10k EHP quite easily. The latter two choices tend to be more unusual, and arguably make the Merlin less of a threat since giving up the Webifier reduces its ability to control an engagement and apply its damage effectively. Equally popular is the active tanked Merlin - this setup features a Medium Ancillary Shield Booster in place of the extender, but is otherwise much the same. The MASB provides the Merlin with a powerful active tank in the region of 150dps (before heat and any additional effects), although due to the nature of ancillary boosters it cannot sustain this level of repair indefinitely - its booster will run dry in as little as 30 seconds if run constantly, and even with only occasional bursts it can only cycle so many times before it's forced to enter a one minute reload cycle, during which time its tank will effectively be nullified. Of course given the relative fragility of the frigate classes, many frigate vs frigate duels are over before this repair cycle kicks in. Some fits may feature a second MASB, doubling the ship's peak tank to a whopping 300dps or allowing it to hold the second booster in reserve until the first enters its reload cycle, again at the cost of that extra mid slot for a web. While the Merlin's resist bonus gives it reasonable resists across the board, EM and thermal damage are generally solid choices. If you're taking on an active Merlin one on one your ammo choice will be particularly important, given that the Merlin's single MASB tank is in the same ballpark as the damage output from a typical frigate - picking the right damage type can make the difference between being just enough to break it, and just too little to do so. While you'll encounter rail Merlins from time to time, the vast majority of them tend to be blaster fit. The Merlin isn't a fast ship (it tops out at around 1km/s with an afterburner or 2.8km/s with a MWD, assuming no additional speed mods) however its four mid slots make it relatively proficient in the range control game. With an afterburner, scram and web the Merlin generally has little difficulty bringing its blasters to bear. Range on blasters is predictably low, topping out at around 3.2+4.4km with Neutron Blasters and Null. This is enough to hit just about anywhere in web range, however damage will fall off significantly the further out you are. That's not to mention the fact that this range already requires loading Null ammo, with the Merlin's ideal damage output with Void or Navy Antimatter requiring it to fight significant closer, ideally within about 1.5km. If you're flying a faster ship with sufficient range yourself, you should be able to significantly mitigate the Merlin's damage output by fighting near the extremity of scram/web range (I'd suggest aiming for around 7 or 8km to allow some buffer). Since just about everything but another blaster ship has better range than the Merlin does, this tends to be the most reliable way of defeating one. Rail Merlins are quite a different beast. While they're far from the ferocious brawlers that their blaster counterparts are, their damage output remains solid and they can be especially deadly if they're able to dictate range against you. In such a situation, expect them to do to you exactly what I just suggested you do to them - hold you at around 8km and plink away with Navy Antimatter. Obviously your aim should be to do the opposite - get in as close as possible to defeat their tracking, and make full use of your hopefully stronger and probably shorter ranged damage output. An armour Merlin (or just an untanked one) is particularly dangerous in this regard since they can potentially fit double webs, or a single web plus a Tracking Disruptor. Setups like these tend to go down very easily if you're able to hit them effectively, but present a significant problem if can't. You may also encounter rail Merlins set up for pure kiting with a MWD and Warp Disruptor, however this tends to be rarer still. Thankfully the relatively low base speed of the Merlin makes it easier to close range against one that it would be against other kiting frigs such as the Slasher or Condor, and a rail Merlin will generally have a harder time evading your scram unless you're slow yourself. Once you've caught them, things should be much more straighforward. When used as a tackler, it's not unusual to see the Merlin sporting a fairly unconventional fit to take advantage of its additional mid slots. Multiple Warp Disruptors, multiple Sensor Boosters, and dual propulsion can all be very effective on this hull and it's difficult to predict what its going to be carrying unless you know the user. Low speed makes the Merlin an easier tackler to evade, but its tank means it'll be harder to remove once it gets into a tight orbit. The lack of a Nosferatu and the tendency not to fit a cap booster means that if all else fails, you can potentially just neut it off in order to escape. As you'd expect from a Gallente turret ship, the Incursus is a powerful brawler and an excellent vessel for solo PVP. A 3/3/4 slot layout makes this ship a born armour tanker, and a 7.5% per level bonus to armour repair amount allows it to mount an incredibly impressive active armour tank. Three damage bonused hybrid turrets and a single drone give the Incursus comparable damage output to the Merlin, somewhere in the region of 150-200dps with blasters. This is supplemented by a fairly good base speed, allowing the Incursus to push around 1km/s with an Afterburner or 2.7km/s with a MWD even when plated - significantly faster than most other armour tankers. There are two common ways to fit an Incursus for solo PVP - as a flexible brawler with scram, web, and a combination of buffer and active tank, or as an all out active tanker with dual armour reps supported by a cap booster. The more conventional brawler fit has very strong range control for a combat frigate thanks to its web and high speed, and while it may not be as resilient as the Merlin or Punisher it remains fairly tough. While individual fits may vary, a typical low slot combination (Small Armour Repairer, 200mm Rolled Tungsten Plate, Adaptive Nano Plating and Damage Control) offers something in the region of 5k EHP with an active tank of around 50dps. Swapping the single rep for an Ancillary Armour Repairer can boost the Incursus' tank to almost double that, at least for a limited period. Since the Incusus doesn't have a high slot for a Nosferatu, the active component of such a tank cannot keep going indefinitely, although it's stable enough to have a significant impact on small scale frigate fights, or to repair gradual damage should the Incursus get under the guns of a larger ship. This kind of setup doesn't really have any glaring weaknesses - it's range is a little short, maxing out at around 3.2+4.4km with Neutron Blasters and Null, however the Incursus is fast enough that holding outside of this range while inside Scram range is likely to be challenging. In many cases you're probably better off just committing to the brawl - the single rep Incursus won't tank your whole damage output and the buffer isn't all that strong, so with a bit of luck you should be able to take one down. A dual rep fit is more fragile in terms of buffer, but tanks like a beast - typically something in the region of 160dps before overheating or upwards of 200dps with one regular rep and one AAR. Unlike the MASB Merlin the dual rep Incursus is cap boosted, meaning it can sustain this rate of repair over a much longer period - so long as it has cap charges in its cargohold, the cap booster can continue to feed its reps with all the cap they require. This level of resilience combined with such a good damage output makes the dual rep Incursus hands down the most powerful brawling frigate available, however its lack of a Web is a weakness which can be exploited. With Neutron Blasters and Null it should have enough range to hit you anywhere inside scram range however the further out you get the less damage you'll be taking, coming down to around half of its ideal damage output at about 8km and even less if you can overheat your scram (or if you're carrying a long point) and get a little further away. While it will probably be able to tank everything you can throw at it at this range, cap charges can only last for so long and it will eventually wear down. Against an AAR fit its overall rep amount should reduce substantially after the first 30 or 40 seconds, depending on how hard you can force it to run its reps. Your other option, if you have one, is to use a neut; the Incursus' cap booster is generally just enough to keep its reps cycling when you take into account reloads, and any pressure you put on is likely to translate directly to missed reps. You'll have to face the brunt of the Incursus' damage output to fight at this range however, so you'll need to be confident in your ability to break it before it breaks you. If you've got a web yourself, the Incursus may also have some difficulty keeping you around to play if you don't want to be there. These weaknesses are compounded if the Incursus is fitting a MWD, which while not typical is not uncommon either. Explosive damage is the Incursus' lowest resist, and using it should be a significant help when trying to break through its active tank. Failing that, kinetic and thermal are tied for equal second thanks to the innate Gallente bonus to kinetic resists. While blaster Incursuses make up the vast bulk of the fits that you'll encounter, rail setups are not that uncommon. Like the Merlin these can be mid-range 'control' setups with AB, Scram, and Web, or more traditional kiters with MWD and a Warp Disruptor. While the Incursus doesn't have the Merlin's fourth mid slot, its additional speed (and the low slots necessary to enhance it) gives it good range control in either scenario. With a speed mod or two, a MWD Incursus can easily push around 3.5km/s. The success of either fit relies on keeping you from getting close, as well as the assumption that you can't return fire at their intended range. Foil either of these, and the fight is likely to go your way. With three mid slots the Incursus is fully capable of shield tanking, although it's not a common choice. The shield Incursus shares the same weakness as its dual rep cousin in that it doesn't have a web, however it trades the latter's tank for a moderate buffer and an incredible damage output, potentially in the region of 250dps. While this looks impressive on paper, the Atron arguably does the job better and as a result it's not something that I'd expect to see often. For many years the Rifter was the undisputed king of frigate combat, and this hull alone has become one of the most iconic features of the Eve universe. The Rifter remains a fairly capable all rounder, although it suffers from the usual curse associated with being a jack of all trades - it's versatile with no obvious weaknesses, but left without a decisive 'win factor' in any particular area. The Rifter's 4/3/3 slot layout makes it equally capable of armour or shield tanking, and three turrets with bonuses to damage and tracking speed give it a damage output that's solid, if a little low. The Rifter is naturally fast for a combat frigate, but less so than any of the attack frigs. Speeds of 1.2km/s with an AB or 3.1km/s with a MWD are typical for a shield Rifter, with the armour tanked variant coming in only slightly slower. This makes the Rifter good at dictating range against other combat frigs, and combined with the long falloff of autocannons this accounts for the Rifter's principle advantage - the canny Rifter pilot can choose their engagement range on the fly, kiting against short ranged ships and brawling against those it can take up close, allowing it to come out ahead against ships which, on paper, appear much stronger. This is easier said than done however given that the Rifter's speed advantage is smaller than it used to be, and attack frigates will generally be able to run rings around one without too much difficulty. With 150mm Light Autocannons (their most common choice of weapon system) the Rifter will hit out to 1.4+8.3km with Barrage (or slightly more if they're fitting a Tracking Enhancer or an Ambit Extension rig), with close range ammo coming in at around 0.7+5.5km. This is enough to out-range most blaster ships (although against Neutron Blasters with Null the margin is very slim), while the Rifter's excellent tracking puts it ahead of pulse lasers when orbiting in close. The tank on a Rifter is nothing special - shield variants with a Medium Shield Extender generally come in at around 5-6k EHP, while armour setups usually offer around 4k EHP with a Small Armour Repairer or AAR in support. You may encounter the occasional 400mm plated armour Rifter which has the potential to be significantly tougher (in the region of 7k EHP), however it also gives up the Rifter's principal advantage by sacificing its speed. Since the Rifter's tank is so difficult to predict, your best bet might be to stick with kinetic or thermal damage to avoid hitting a brick wall should you guess wrong, unless you have a decent idea of what you're going to be facing. If you have a chance before the fight starts, observe the Rifter's speed to get an idea of how they might be fit - below 1.1km/s is a strong sign of an armour tank, while anything higher than that suggests shield. The Rifter's fourth high slot is most commonly used to fit a Nosferatu, particularly on an armour setup. Combined with the fact that its guns don't require any capacitor to fire, this makes the Rifter quite resistant to neutralizing as well as keeping the rep on an armour Rifter fed with capacitor. Alternatively this slot can house a Rocket Launcher for extra damage or an Energy Neutralizer to put pressure on opposing active tankers, both of which are quite popular on shield setups. Compared to its peers, the damage output of the Rifter is not stunning - 150dps is about the top end for a shield fit, with most armour setups doing something in the region of 120dps. That said, the Rifter's projectile weapons allow it to switch damage type to suit its target, meaning more often that not a well flown Rifter will be firing into your resist hole. With the correct choice of ammo, that 120dps from a Rifter can be just as effective as a ship with a higher damage output that doesn't have such a luxury. Unconventional fits (such as the armour tanked Merlin) are particularly effective against Rifters, since the pilot will often switch to ammunition based on the fit they expect and end up firing into your highest resist. If you're flying a fairly standard setup on the other hand, expect them to pick the most effective damage type for taking you on. Thanks to its natural speed, the Rifter is also a fairly popular artillery platform. While arty Rifters tend to be very fragile, their high speed (about 3.5km/s with MWD), generous falloff (typical ranges of 9.7+14km with close range ammo), and high volley damage make the arty Rifter proficient at taking out other solo frigates, particularly fragile ones like the attack frigs. The success of the Rifter revolves around controlling range to establish a situation where its opponent is at a disadvantage, often treading a fairly fine line to do so. In a blow for blow brawl the Rifter isn't really that special, and most other combat frigs will come out ahead if simply allowed to duke it out. That's really your aim - keep the damage flowing, and try to mitigate whatever the Rifter pilot is doing to reduce it. If they try to brawl you at point blank, fly away to keep angular velocity low. If they're kiting, overheating your afterburner to keep close or switch early to long ranged ammo if you think you have the range to hit them. The speed advantage that the Rifter enjoys isn't that large (particularly if both paries are webbed), and it's fragile enough that you don't need to keep the pressure on for long to tip the balance. The Tormentor saw significant changes during tiericide, transforming it from a mining vessel into the Amarr dps powerhouse. A 3/3/4 slot layout leaves it ostensibly similar to the Incursus, with bonuses to damage and cap use for its three turrets and bandwidth for two light drones. While the Tormentor doesn't receive the Incursus' active tanking bonus, it does have the one thing that its Gallente cousin lacks - damage projection. Pulse lasers offer excellent damage at mid range, with Small Focused Pulse Lasers reaching out to 11+2.5km with Scorch crystals before any range mods. Instant switching of ammunition allows the Tormentor to quickly swap to closer range Navy Multifrequency crystals, offering stronger damage output at around 3.8+2.5km. The Tormentor isn't a particularly fast ship, however its third mid slot lets it fit a Stasis Webifier, the envy of Punisher pilots everywhere. Few other frigates can match the Tormentor's damage output near the edge of web range, giving this ship a strong advantage against any target that it can hold at range. A Tormentor loading Scorch can still put out over 150dps, and with Navy Multifrequency it comes close to matching the Merlin and Incursus at about 190dps. The Tormentor is a relatively easy ship to fit, with plenty of powergrid for a sturdy armour tank. Typical fits range from light buffer tanks in the region of 4k EHP, all the way up to heavily plated fits offering anything up to 10k. Most typical examples will be somewhere between these two extremes, generally nearer the lower end of the scale. It's fairly common for this tank to be augmented by a single armour rep or AAR, with cap booster dual rep setups being unusual but not unheard-of. Some Tormentor fits sacrifice tank for additional range and speed mods, allowing them to kite outside of web range in a similar fashion to the Imperial Navy Slicer (albeit less effectively). Ranges on the Tormentor generally top out at around 16+3.9km with Scorch and speeds of 3km/s, although fits of this type are almost entirely untanked and your typical Tormentor is significantly slower and shorter ranged. Fits like these can present a significant danger if you're unable to catch them, but unlike their faction counterpart they don't really have the range or the speed to make that task particularly difficult. As a brawler the Tormentor is competitive but not outstanding. The tank is impressive, but it relies to an extent on the Tormentor's opponent (that's you) playing ball and fighting where it wants you - particularly because the more tank it fits, the less it can control range. Tracking on pulse lasers is fairly weak compared to the other close range weapon systems, and a blaster or autocannon ship getting into a tight orbit can leverage a significant advantage from this. A web from the Tormentor mitigates this weakness to an extent, and if you don't have a web of your own you'll probably find the Tormentor can simply hold you at range without a problem. If they're mounting a cap booster instead, you're unlikely to have this problem. Shield tankers will have a particularly hard time against the Tormentor given that most of its damage output is EM and thermal, while armour tankers are likely to have it easier for the same reason. To describe the Punisher as a brick would be fairly accurate. When it comes to sheer resilience, the Punisher tops all of the other T1 Frigates. A 4/2/4 slot layout with an armour resist bonus allows this ship to mount a very hefty armour tank, although it loses the flexibility offered to other frigates by their third mid slot. A turret damage bonus rounds out the Punisher's damage output nicely, although it's still left a little low compared to many of its peers. The Punisher is almost exclusively flown as a brawler. It's not actually a naturally slow ship - in fact it's faster than the Merlin until you start slapping plates and armour rigs onto it. However to get the most out of the Punisher's resist bonus you really need a plate at the very least, and your typical Punisher fit is fairly sluggish with typical speeds of around 900m/s with an afterburner. The tank on a Punisher comes in two main flavours - a light buffer version using a 200mm plate and an optional armour rep, and a heavy buffer version using a 400mm plate. The light buffer variant is a little faster and more agile, and still offers a fairly impressive tank of about 7k EHP in addition to its rep. Cap consumption from its guns means that the Punisher can't keep the rep running indefinitely, although with a Nosferatu it should be able to pulse it regularly enough have a significant impact. A heavy buffer fit goes all out on its tank, offering anything from 10 to 14k EHP. While these fits may also feature a rep, they generally don't have room for a nos and so won't be able to cycle it for long without the risk of capping out. While the Punisher's resist bonus mitigates its resist hole, you'll still get the most mileage out of explosive or kinetic damage, while EM should be avoided if at all possible. While the Punisher's low speed and lack of a web leave it without much in the way of range control, it does have quite flexible range in the first place. Dual Light Pulse Lasers (the Punisher's standard weapon system) can easily hit out to 10+1.9km with Scorch, although their ideal damage output with Navy Multifrequency comes in at around 3.4+1.9km. The Punisher's damage output is fairly unimpressive, more because all of its rigs and low slots are usually dedicated to armour tank than because the ship is innately weak on this front. Your typical Punisher fit without damage mods puts out something around 100-120dps with Navy Multifrequency and a little less with Scorch. Tracking on pulses is fairly weak, meaning you can potentially reduce the Punisher's damage output slightly simply by orbiting as close as possible, particularly if its using the larger Small Focused Pulse Lasers. Since the Punisher is so reliant on capacitor it's quite vulnerable to neuting (the nos helps, but isn't enough keep everything running on its own). That said, the Punisher's naturally strong capacitor means it'll probably take quite a while before a singly small neut will have any real impact. The damage output from a pulse Punisher will be entirely EM and thermal, meaning you're generally best taking them on using another armour tanked ship like an Incursus if you have the option. Shield tankers ships may have more difficulty, given that it will be firing into your weakest resists. While less common than they used to be, some Punisher variants fit autocannons rather than pulses. This saves additional powergrid for tank, as well as reducing the ship's reliance on capacitor. Fitting ACs drops the Punisher's damage output to about 75dps with close range ammo, as well as reducing its ability to project damage at range. ACs with Barrage hit out to around 1.4+8.3km, putting out roughly half of their optimal damage output at maximum web range, whereas the pulse variant would still be hitting for full damage. Unsurprisingly then, my suggestion when fighting an AC Punisher is to hold it at range and whittle it down providing you have the range to do so yourself, and otherwise just to head for your own optimal and brawl it down. The damage output from an AC Punisher is low enough that an active tank will probably be able to turn away a significant portion of it, or even the whole thing on some of the tankier frigs. Expect a very solid tank however - with ACs the Punisher will almost always be a heavy buffer variant, and some unusual fits even go so far as fitting double 400mm plates for an incredibly strong buffer. Despite its slightly low damage output, the Punisher is an excellent brawler. If you can't dictate the terms of the engagement against it (for example if you have no web, or are scrammed with a MWD fit), then it will likely prove to be a very tough opponent. It struggles a little to catch things, which means that if you don't want to fight it (or want to escape from a fight early on), you usually have that option available. Thanks to the combination of a strong tank and a nos, Punishers are one of the more effective frigates for taking on larger ships. While I wouldn't necessarily call them a threat to your typical PVP cruiser, I recommend you don't underestimate how difficult it will be to remove one should it get in under your guns. Reading this well made article I had the feeling that you like to fly Merlyn and Punisher ships: am I wrong? I have a soft spot for the Merlin you're right (it was already my favourite frig before the buff, and definitely is now). I probably fly the Punisher the least of all the above ships - not because it's bad, but because the low speed/high tank role that it fills overlaps a lot with T2 Assault Frigs, which I also fly. Nice article. Makes me miss flying the old Inky Dinky around. I've always had a soft spot for the punisher. It isn't the best ship but I feel like I get the most fights while flying it. Everyone will engage a punisher because everyone thinks they can disengage or dictate the fight. A good punisher pilot has to be good at cap management and know when the enemy is about to bail so they can overheat the mids and make a killing blow. I have heard it's beneficial to fit a tracking enhancer instead of a heatsink because while a heatsink will increase your paper DPS, paper DPS doesn't take into account tracking. As such, I'll generally fit a TE on my Tormentors instead of a heatsink. What do you think? Honestly, the tracking boost from a TE is pretty small (only 9.5% compared to 30% on a scripted TC) - it's mainly a range mod. Fit a metastasis rig (15%) if you're just worried about tracking - it's more effective and only uses a rig slot instead of a more valuable low slot. It is generally best to just pilot better when flying with lasers. Use keep at range and never orbit other frigs. "When used as a tackler, it's not unusual to see the Merlin sporting a fairly unconventional to take advantage of its additional mid slots." Sth. is missing in that sentence. Just curious. Isn't there suppose to be a section on the updated executioner as well? Or do you consider the ship to be not a combat sub-class? The executioner is an "attack" frigate. 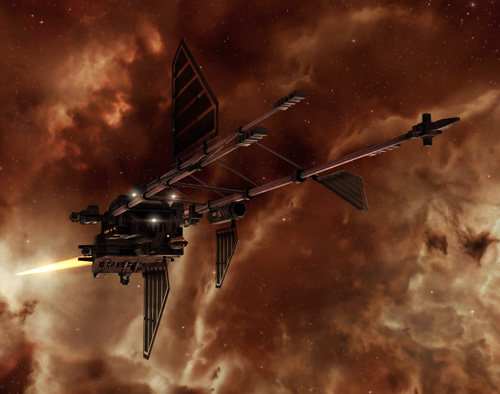 Read the dev blogs in the features and ideas section of the eve forums. I keep on thinking the Tormentor is going to be one of those new logi frigs because of its old mining hull. Why must CCP randomly switch these things around? I dunno. Ship stats get a buff, but it seems to me that the changes to the frigs also made them more expensive. Atrons used to be really cheap. Not any more. 200-500K is a lot of ISK for a new pilot, just for a hull. Esp. since a lot of your early ISK goes towards buying skill books. And, the fact that T1 modules no longer drop from NPCs has also make it more expensive for new pilots to fit ships. I used to fit my ships for free, from my NPC loot, from L1 missions and belt rats. The Metal Scraps which drop now are just not worth that much. So, ships & modules get more expensive, but ISK opportunities for new pilots are going down, except for exploitables like FW plexing. Mining is becoming less profitable, due to increased number of exhumer/barge AFKers and bots, which strip the high-sec belts in a few hours. Mission running is less profitable 'cause bounties haven't gone up, yet loot and salvage drop rates and value have fallen - and the new NPC AI is going to make mission running more dangerous, without improving value. 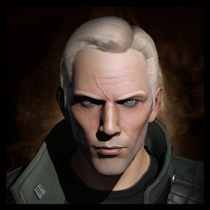 I'd guess that CCP really wants to encourage new players to just buy PLEX, rather than grind ISK, to pay for ship losses, but doesn't this create a barrier to new player retention? The lower tier frigs like the Atron had their material requirements increased to be in line with the other ships, since they're no longer designed to be weaker ships. That's the main reason that the prices went up. You do get quite a large number of free ships if you do all the tutorials, I don't think new players have too much difficulty getting access to ships. Sure they're a bit more expensive to replace now, but not prohibitively so (and the rookie ships are *a lot* better than they used to be, so the very new have a more reliable fall-back option). To add to that, the price increase for top tier frigs (merlin, rifter etc) is mainly due to mineral price increases - there's typically very little profit margin on T1 hulls. That increased mineral price also translates directly to mining income, primarily from veldspar since that's the major component. Since veldspar is the main ore mined by new players, the price of top tier t1 frigs should be roughly static compared to the income available through basic mining. You forgot to mention that a few hours of level 1 missioning will give players the money to cheap-fit a tech I frigate. Being Caldari I tend to stick to the Merlin at the moment. I am fairly new at PVP and generally fly out with corp mates. On several encounters I found the MWD (inc the low slot beta mod) too fast with short range blasters in that I would burn towards the target after choosing orbit at 500, and i would fly past out of gun range very quickly. I am not sure how to counter this effect. but in the meantime I dont get on many kill mails. You need to disable your MWD before you reach your target - if you can, try to time it so that your last MWD cycle finishes when you're somewhere between around 3 and 7 km from your target, which should let you coast into range. The MWD is really just for covering that initial distance. As soon as you're in range you want it turned off since it'll A) make it very hard to stay close and B) significantly increase the amount of damage you take.